15 Autographs: Duke Snider, Billy Herman, etc. 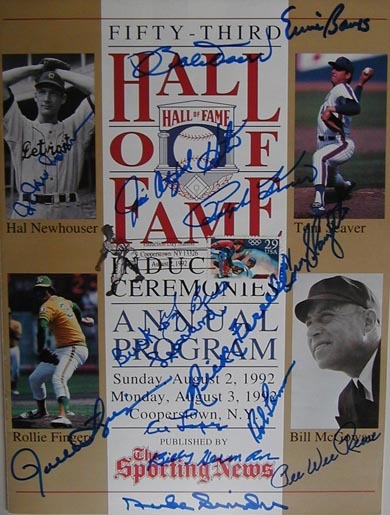 Official 1992 National Baseball Hall of Fame (53rd annual)program with 15 autographs. The autographs were obtained at the Otesaga Hotel in Cooperstown where the players stayed. This program was also postmarked in Cooperstown on Induction Day to verify its authenticity.